Becoming a RAID World Series of Freediving (WSF) Freediver is the best way to start your underwater adventure with worldwide recognition! By receiving personalized training with quality time, you will soon be truly comfortable under water with the skills and equipment you use. Do not be afraid of quality training because this is in your control like no other agency. You have the power with RAID to get the best! 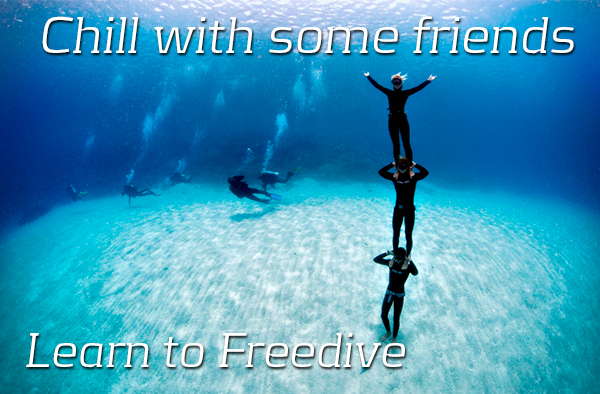 Your WSF Freediver course consists of 3 parts: Academics, Pool Training and Open Water diving. The RAID Training Materials and Online Training program are designed so that you can learn the academics at your own pace when it is convenient for you, with direct contact with your RAID professional from the moment you start. Register with RAID for FREE and then complete the academics on-line after purchasing your course via the ONLINE STORE located by your photo or under 'My Training Tools;. Your favorite RAID Dive Center will monitor your progress and assist when needed. Your RAID Instructor will work with you so you will become comfortable and confident with your abilities before you go diving in open water. You will complete your open water dives and have the chance to demonstrate your abilities to your RAID Instructor. After successful completion of your open water training dives you will become a RAID Certified Freediver. The RAID WSF Freediver certification is recognized worldwide so your diving experiences will be limitless. The fun and experiences doesn't stop at your beginner course! With just a little more training and diving, you can go even further through our RAID WSF Advanced Freediver and Master Freediver courses, teaching you to go to depths of up to 40 meters! There is nothing like the experience you will get Freediving and RAID will be your login and your certification will the password to a world beyond virtual reality, it is real, it is alive and unbelievable! At the end of the each course when you pass you will receive your RAID Certificate. This certificate entitles you to take part in dives subject to the accreditation of your certification and adventure is just a RAID fin kick underwater!